Over your usual wintertime fun, or just a fiendish fisher in need of a fix? So what if the riverbanks are snow-drifted and the lakes frozen—go fishing. 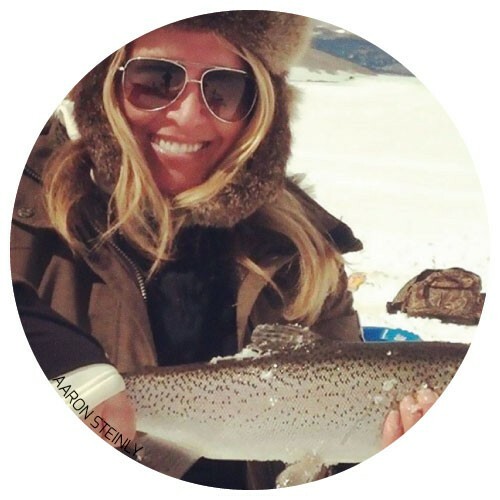 According to Travis Gillespie, founder of the Utah Fly Fishing Club (UtahFlyfishingClub.com), winter is a great time to pull out those rods and seek a strike. The fish are hungry, and a few cold weather conditions have them throwing caution to the wind, upping your odds of a good catch. Check out the Utah Division of Wildlife Resources' Fishing Hot Spots (Wildlife.Utah.gov) and pick up a fishing license from the Utah Division of Wildlife Resources before heading out for the universal allure and silent camaraderie of fishing—only frozen. Whether armed with a fly rod or looking for a hole in the ice, here are a few tips for casting lines during Utah's frosty months. • Careful of the sun. Don't underestimate the magnifying effect of snow-refracted sunlight. Make sure to slather on the sunscreen—reapplying every two hours—and wear some shades. • Be avi-savi. Avalanches aren't much of a concern on the more popular stretches of fly-fishing river, but if you're heading into the hills, check conditions at the Utah Avalanche Center (UtahAvalancheCenter.org). • Stay Warm. A bit of planning can keep fish bites from turning to frostbite. Dress well: In adventure towns, wintertime waterproof often doubles for river wear. Bundle up in those same synthetic layers, piling insulating layers (e.g., fleece or wool) over wicking fabrics close to the skin to keep you dry. If plying the shores with a fly rod, consider waders (avoid felt bottoms in the snow) and don't forget the wool socks! Also stash an extra set of clothes in the car in case the biggest splash of the day is yours. But most importantly, flip the traditional fishing schedule on its head. Plan for the outing to span the warmest part of the day (11 a.m.-3 p.m.). No cold early mornings or late afternoons for this crowd. Luckily for fly-fisher folk, that same "warmth window" is also when the fish are biting, and that's because the bugs are out. Midday all winter long, midges and various small flies are buzzing around like crazy, and the fish love them. "It's some of the best dry-flying fishing all year," says Gillespie. And one of the "best kept secrets," he adds with a grin. • Where to go? 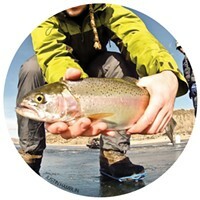 "The most underrated winter fishing, maybe in the country, is the Green River in northeast Utah," Gillespie contends. His favorite stretch is Section A, from Flaming Gorge Dam to Little Hole. Waters exiting a dam are always a good cold-weather bet, as they stay warmer longer than snowmelt rivers. That helps fish stay active, leading to heartier (read: bigger) catches . Also check out the Provo (particularly the middle section though Heber Valley) and Weber rivers. • Got guides? Not comfortable heading out on your own? Gillespie recommends Spinner Fall Guide Service (877-811-3474, SpinnerFall.com) for Green River Trips and Four Seasons Fly Fishers (435-657-2010, UtahFlyFish.com) for outings on the Provo and Weber Rivers. Funny thing about ice: it makes fish desperate to fatten up for the colder months feel (fatally) safe. Just after the ice forms, there is a feeding frenzy under the surface. It's an (almost) guaranteed good time. • Safety first. Though the fishing is best one or two weeks after the ice forms, no one wants to end up on (or under) thin ice. 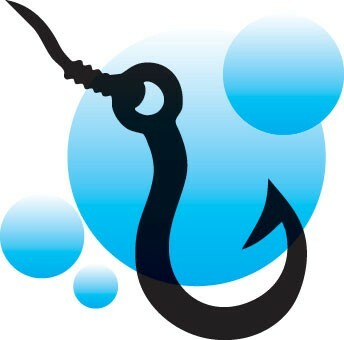 Call the fishing department at a local Cabela's (Cabelas.com), Sportsman's Warehouse (SportsmansWarehouse.com) or Western Rivers (WesternRiversFlyFishing.com) to ask about conditions, and always drill a test hole near shore to make sure it's at least 4 inches deep and clear. Still skeptical? According to Gillespie, the combination of incredible fishing, gorgeous scenery, and utter lack of crowds is entrancing. So is he worried that divulging his secretes will destroy the allure? "I don't think so," he says, "because even if you tell people how good it is, they're still afraid of the snow." Besides, he continues, "Utah's got enough rivers that there's enough river for everyone to share."